"The Ski Jump." "The Carlton." "The Stanky Leg." 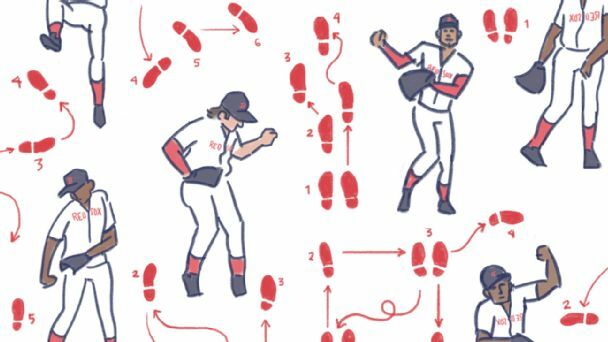 Red Sox victory rituals sure have rhythm. 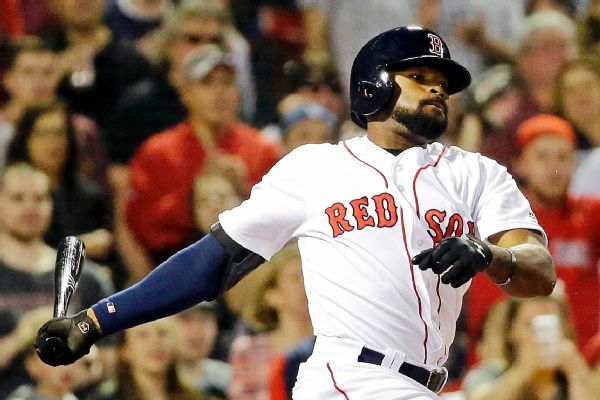 Boston players break down their favorite moves from last year and share what's in store for 2017. 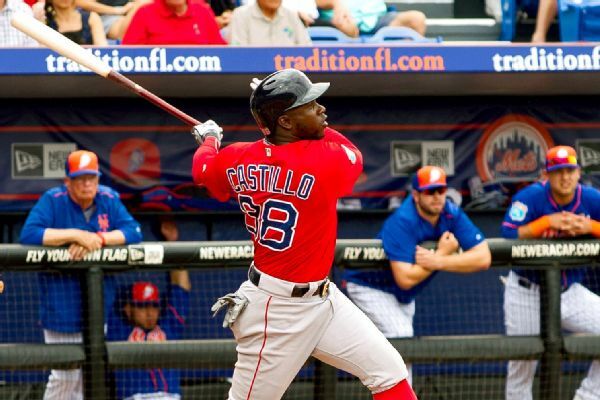 Three years after signing a $72.5 million deal, Rusney Castillo is an afterthought in camp after failing to meet the lofty expectations put on him. 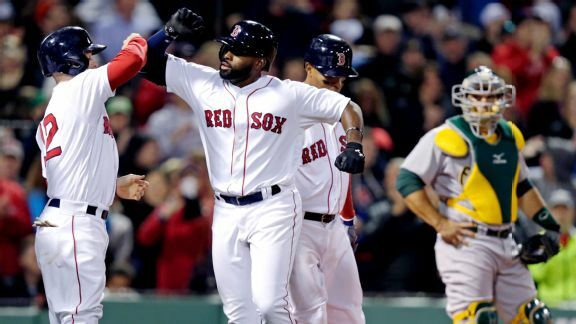 Roenis Elias was blitzed for seven runs on seven hits in only four innings of an 8-4 loss to the Mariners. 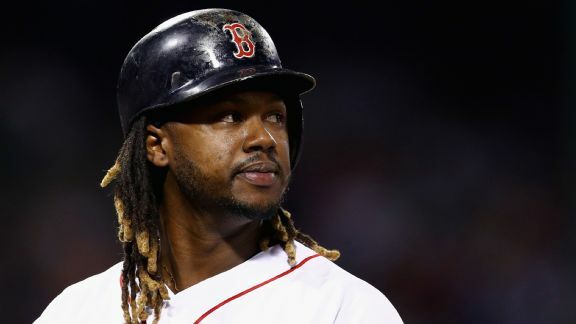 For the Red Sox to stay near the top of the American League East, they need to do a better job against their fellow division contenders. 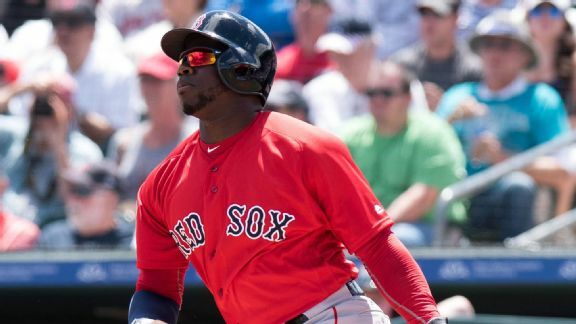 The Red Sox lost two catchers when Blake Swihart and Ryan Hanigan went to the disabled list. 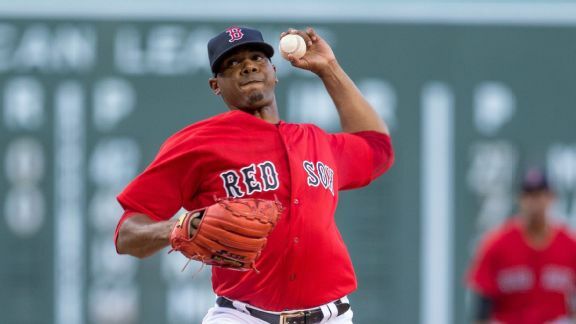 Chris Young becomes a Red Sox starter and immediately has an impact against the Jays, as his homer ends Marco Estrada's potential no-hitter at Fenway. 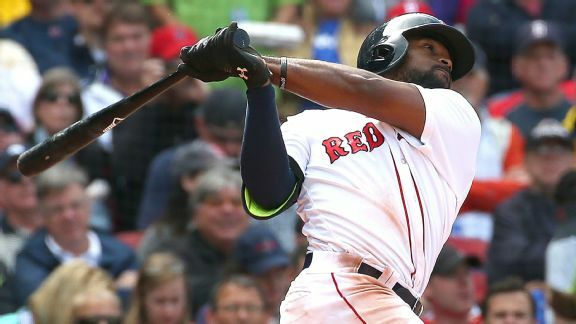 Jackie Bradley Jr. and his wife, Erin, are expecting their first child, so the Red Sox put Bradley on the paternity leave list. 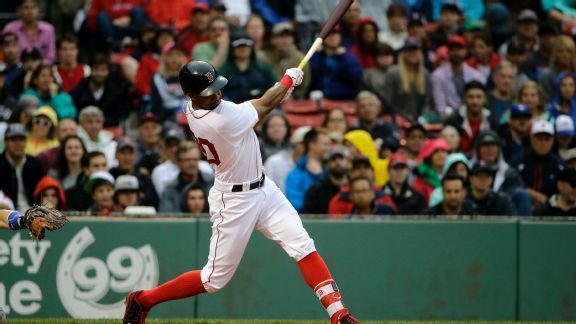 Boston Red Sox center fielder Jackie Bradley Jr. continues his hot hitting with three more on Monday, including a grand slam.